One year ago today, we took our puppy swimming for the very first time. At the time we really didn't know if he'd like the water. He did - so much that we thought it would be appropriate to celebrate his first Waterversary. What a pretty day. We swam and played in the water. Mandy tried out Kathy's new GoPro. 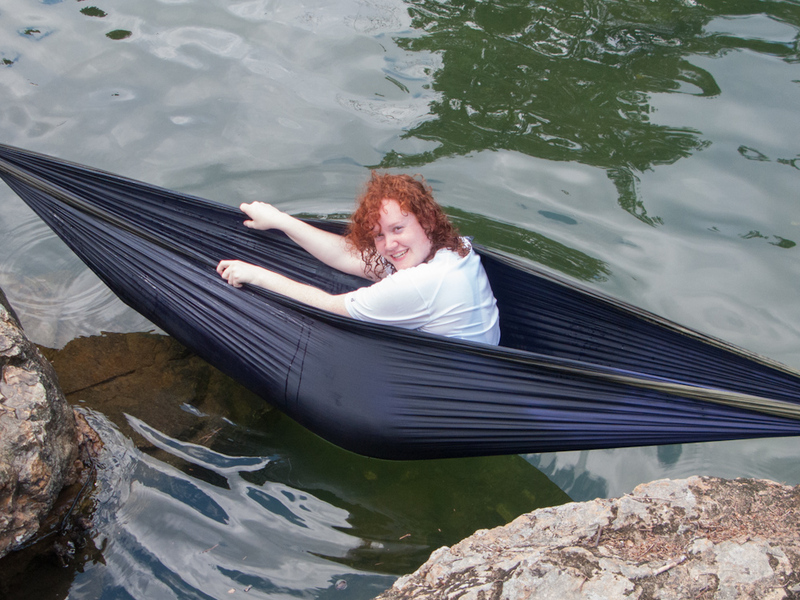 Kathy took a hammock nap and I stayed near her while the others ranged upstream to play in the water with the dogs. Hayduke, ever the mama's boy, ran back and forth between his playmates and me, while I sat on a warm rock reading a book.